As a consummate science fiction fan I am a sucker for anything futuristic, and although it’s difficult to imagine what a futuristic pushchair would be like (hoover-wheels? Forcefield rain cover?) 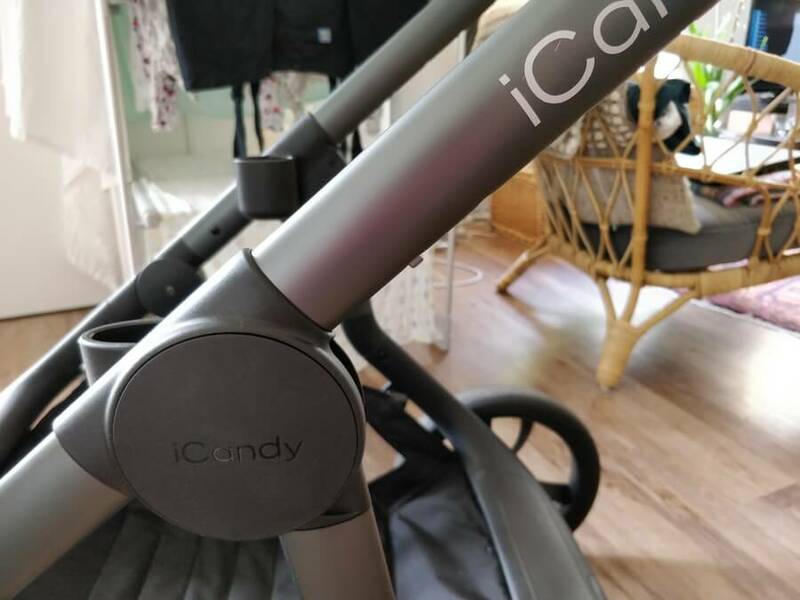 iCandy are marketing their newest model, the iCandy Orange, as a “future proof” pushchair, and I think that it certainly lives up to that claim! 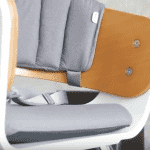 As well as being sleek, stylish and extremely practical the modular extension system means that it can be set up in over 30 configurations ranging from a single carrycot, to double seats, to a seat and a buggy board for a toddler and more. 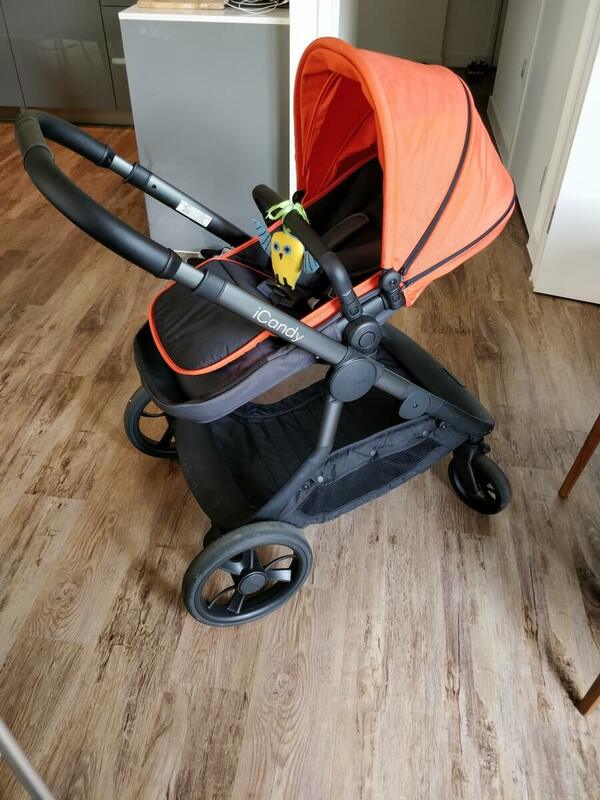 What’s more, the Orange seems to elegantly bridge two classes of pram – small and practical city prams that make certain compromises on comfort and smoothness, and larger luxury prams and pushchairs that, whilst comfortable and smooth sacrifice maneuverability. 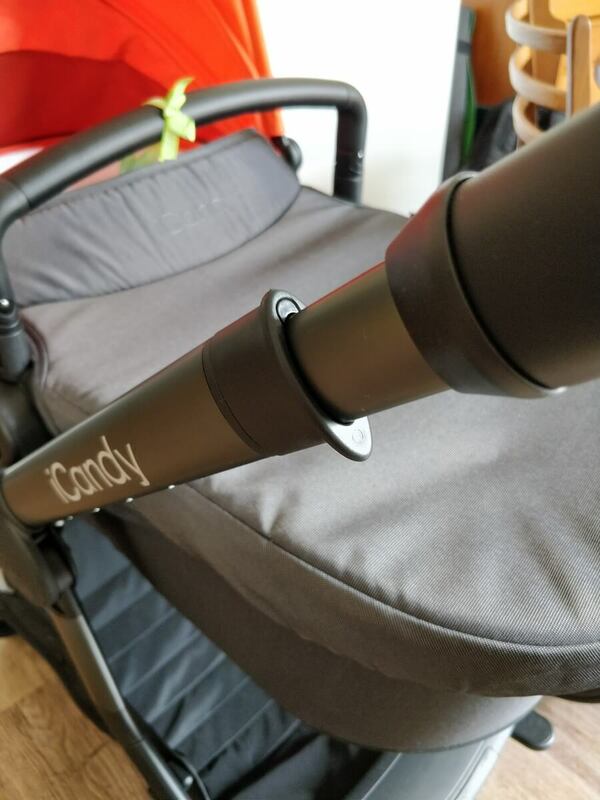 The iCandy Orange offers a spacious and comfortable ride to a child, and a smooth and easy driving experience to parents whilst feeling much more nimble than it has any right to be! First of all, some of the standard measurements. 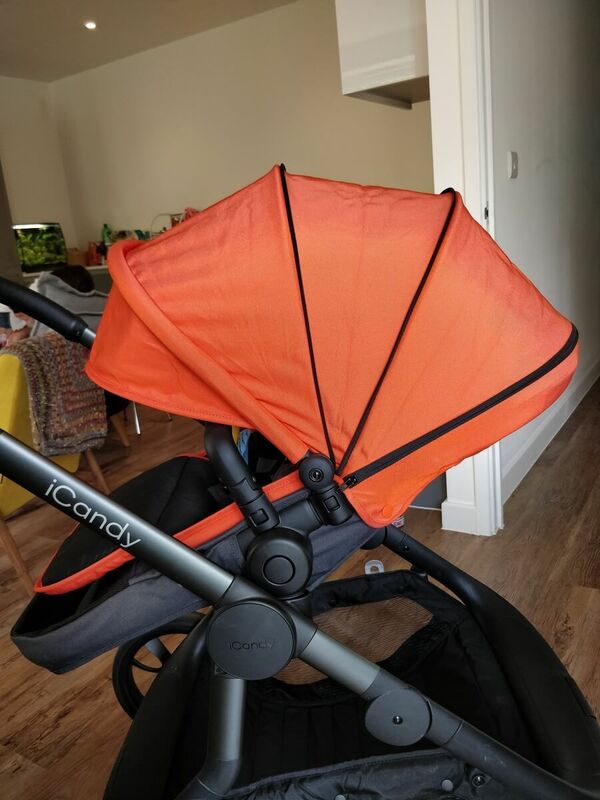 The iCandy Orange has a folded size of 85 x 61 x 30cm, can take children up to 25kg in single mode and up to 15kg per seat in double mode, and starts at £875 for the single version. 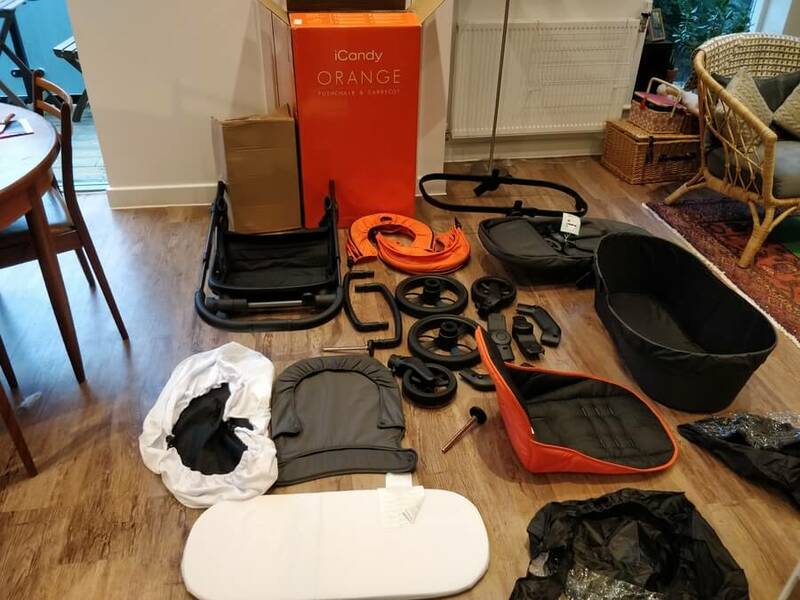 The exciting vital statistics for the Orange, however, are the 6kg minimum liftable weight (i.e., frame only), 12.5kg with-seat weight and the expansive 64l basket, capable of carrying 10kg of miscellaneous stuff. That’s big enough for a changing bag, a backpack of all the stuff a dad needs for a trip out the house AND a good week worth of shopping. The chassis of the Orange is made from lightweight tubular Aluminium which has a nice dark-grey matte finish, and high-density black plastic. This gives, combined with the low-key branding, gives the pushchair a sleek, modern look. Throughout the pushchair, the fabrics are robust, hard-wearing and water-repellant and the coloured fabrics have a nice two-tone weave, further contributing to the modern, but classic, look of this pushchair. Whilst the overall impresssion isn’t that of a hyper-modern cutting edge design, the puschair manages to look modern and classy whilst retaining a timeless style. 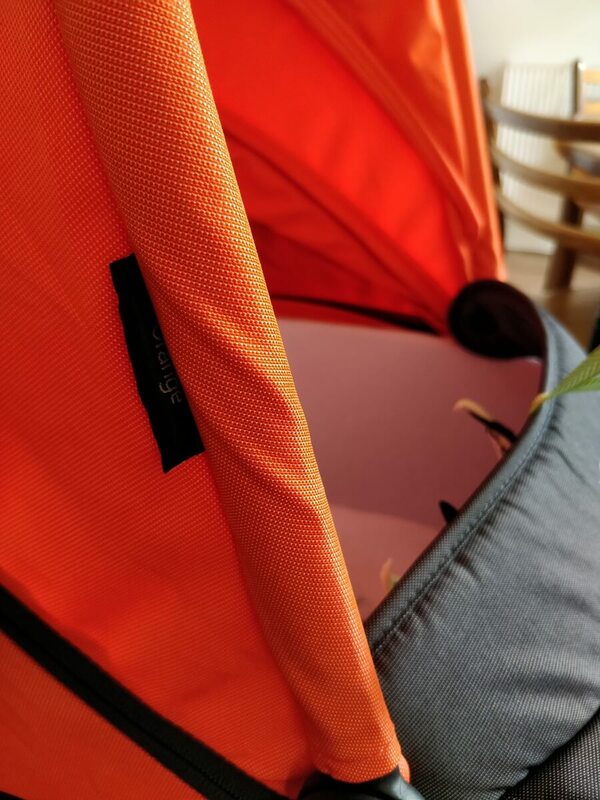 An important aspect of any pushchair design is the folding mechanism and, once again, the Orange doesn’t disappoint. The fold requires the user to pull up on two catches on either side of the handlebar, and push downward. This triggers the pram to collapse in the middle, folding neatly into a small package. It’s actually quite impressive to see that expansive basket disappear into the folded pram! 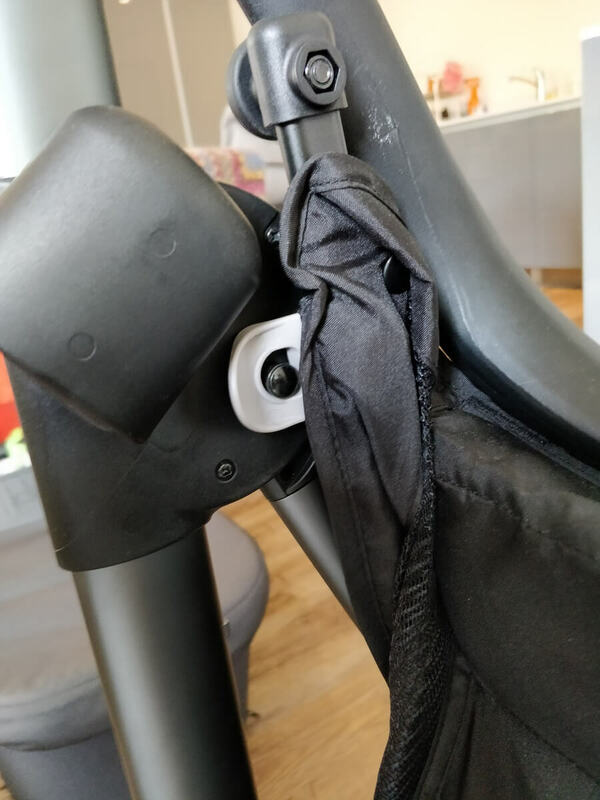 The downside of this mechanism is that it requires both hands to fold the pram – so no holding the baby on one arm and folding the pram with the other! Once folded, the frame locks together nicely. 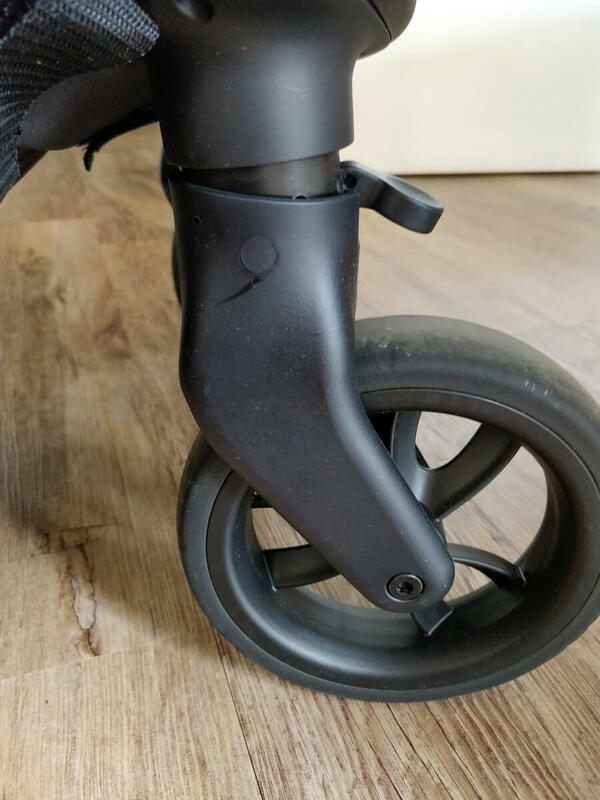 Unclipping the grey plastic clip off a lug releases the pushchair and allow it to be unfolded back into the push-position simply by raising the handlebar. Another fantastic feature here is that, provided the wheels are on and locked, the folded frame is free-standing. Perfect for the storage cupboard of our London flat! Both sets of wheels are pleasingly chunky, and the rear wheels are mounted on large axels and both wheels have rubber tires. That means no puncutres without sacrificing a smooth ride! 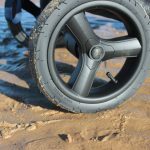 Although it’s not obvious, there are small suspension mechanisms for both the front and rear wheels, meaning a smooth ride for both baby and parent. The Orange comes in a surprisingly compact box. Opening the box reveals an array of components that, at first, seems a little daunting! However, the Orange is extremely straightforward to build – the visual instructions are clear, and all the pieces slot together cleanly and easily. The box contains two identical seat frames which can either be a carrycot or a toddler-sized seat, depending on the fabric skin applied to them – one of each is included in the box. In addition, there are two rain-covers, two hoods, and two bumper bars. 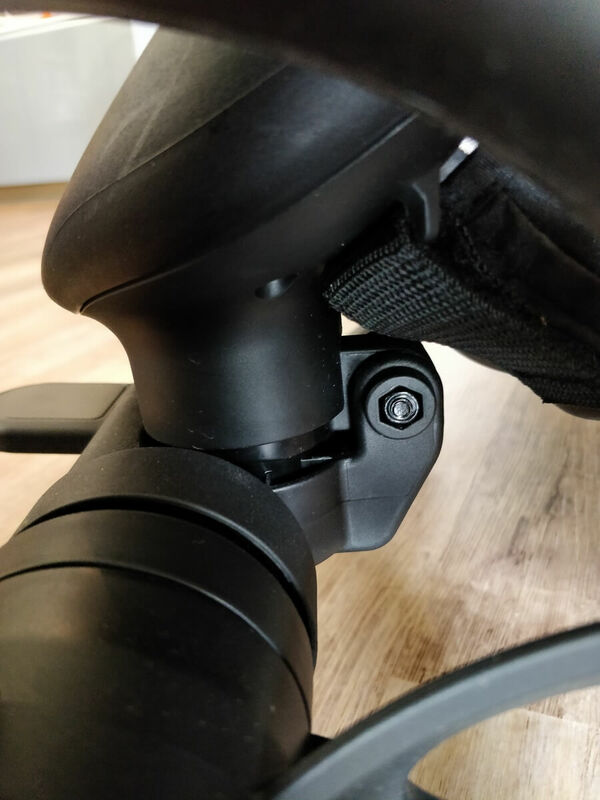 Finally, there is a pair of car seat adaptors included which fit a range of car seat brands (see the iCandy homepage for more information), and a pair of elevators to raise the seat or carrycot to a higher position. As previously mentioned, the combination of suspension, large wheels and thick rubber tires leads to a very smooth ride for the baby. 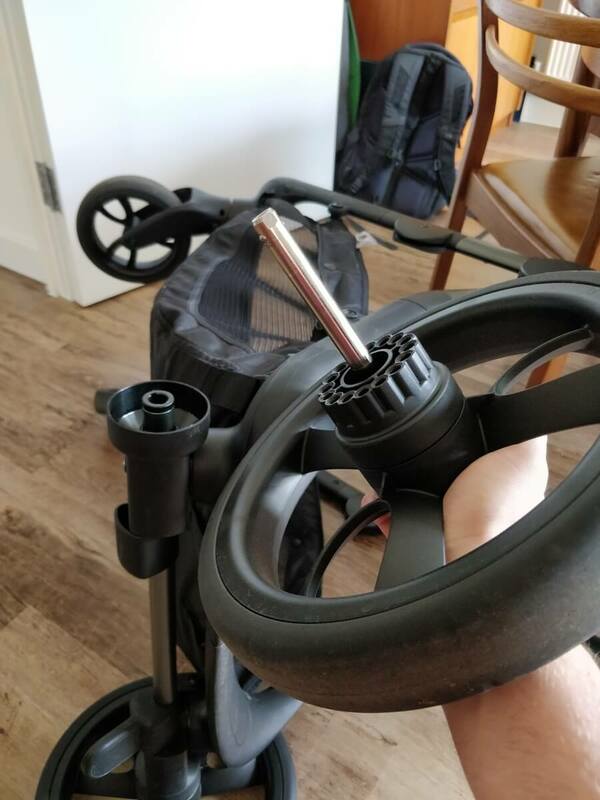 The wheels also have extremely smooth bearings and spread the weight of the pram very very well. 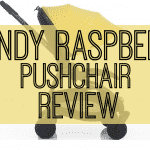 Pushing the iCandy Orange takes very little effort, and it is extremely nimble and maneuverable, feeling like a pram much smaller than it actually is. Furthermore, thanks to the weight distribution, the pushchair never feels like it will topple from pushing too hard on the handlebar. In fact, it is a little tricky to “wheely” the pram up a curve without the additional input of a foot. This is certainly a good thing though – no one wants to watch their pram flip over! 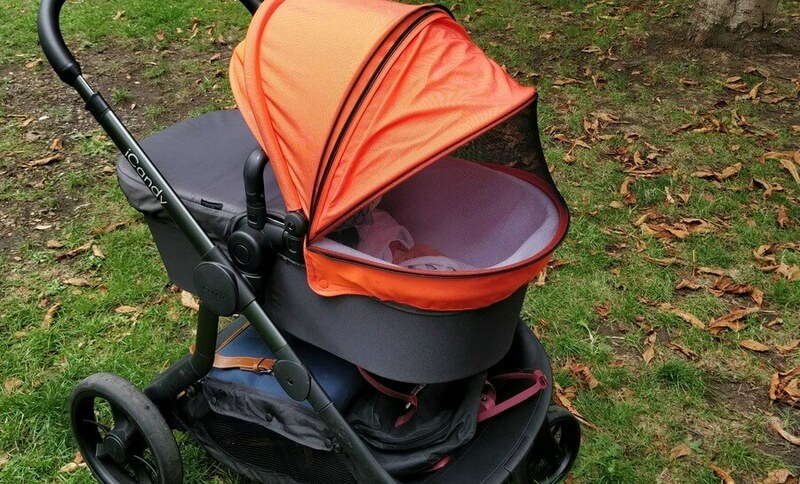 Whilst discussing comfort I would be remiss if I did not mention the excellent hoods for the seat and carrycot. 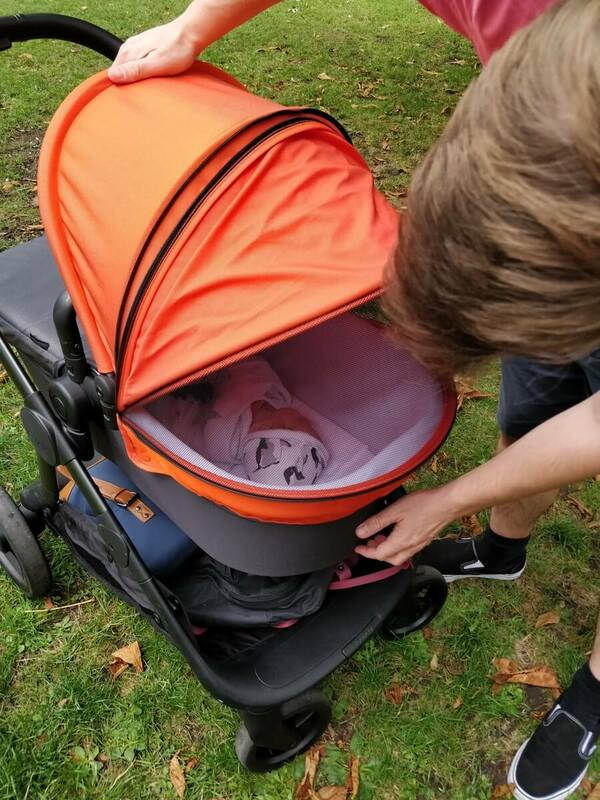 They extend so far over the seat/carrycot as to exclude almost all sun (SPF 50) and also feature a zippable mesh window that allows the parent to see the child even when the hood is all the way down. These mesh windows also allow a bit of ventilation – I really like this feature. 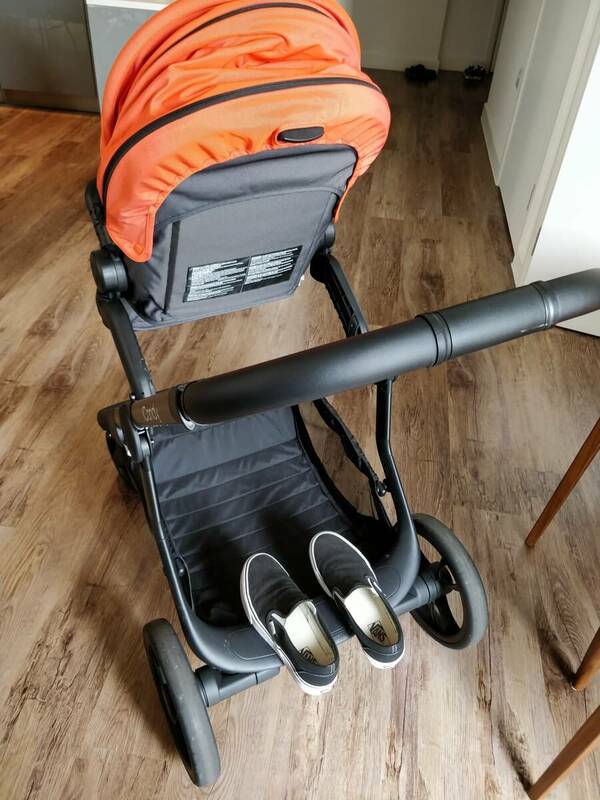 This has been an ideal pushchair for our first little one, but the big appeal of the Orange is that it is expandable to accomodate more children. 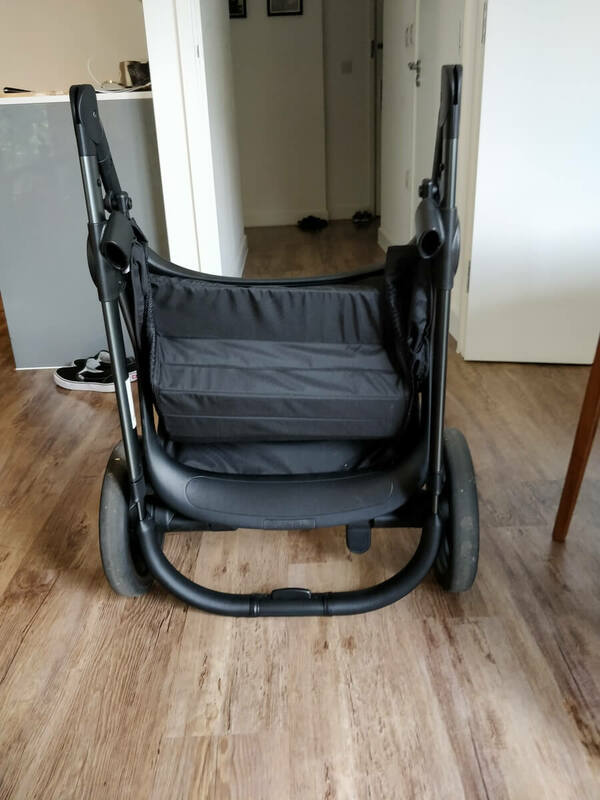 With the purchase of a set of extenders, the pushchair can take a second carrycot or seat in combination with the original AND has a built-in buggy-board that can take a toddler weighing up to 20kg on it. That means that it is the ideal pushchair if you think that there is any chance of the family expanding in the future! I am a huge fan of this pushchair. It is sleek and stylish, feels robust and combines a spacious basket and stable wheelbase with manouverability and nimbleness. The flexibility offered by the Orange seems hard to beat, and the ride offered to both child and parent is so smooth it feels like gliding! 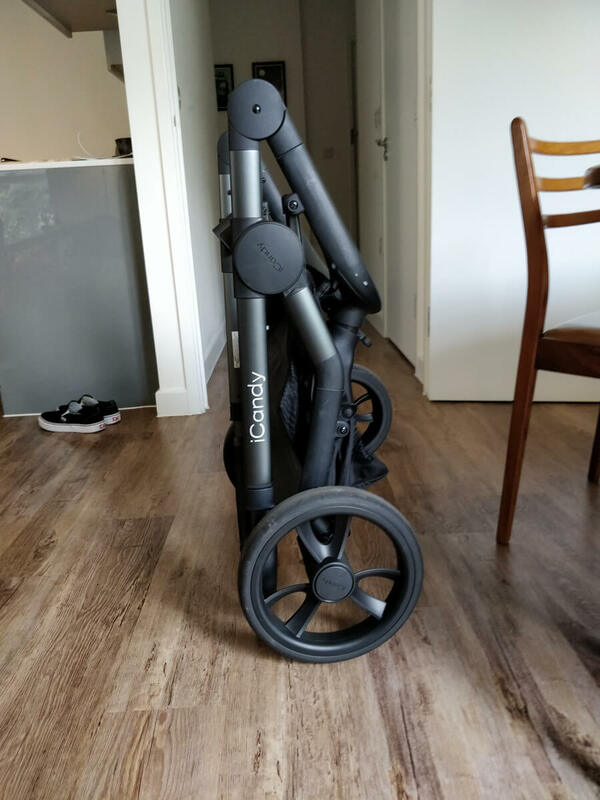 The pushchair, on the whole, feels very well made and I would be surprised to find any integral part of the pram failing. 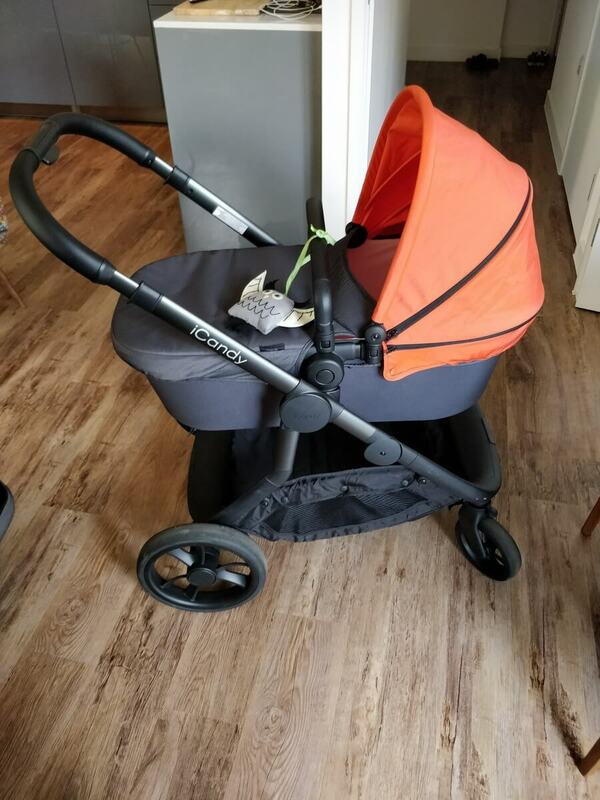 On the downside, the Orange isn’t the smallest of prams, and isn’t well suited to frequent trips through subterranean metropolitan travel systems (although I will certainly be running this pushchair in and out of London once or twice a month – just avoiding rush hour!). 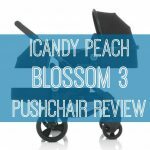 If you are looking for a smooth, stylish and durable pushchair that will adapt to almost anything the future of your family will throw at it and aren’t worried about a slightly larger than average size then the iCandy Orange pushchair will be a strong contender for you!